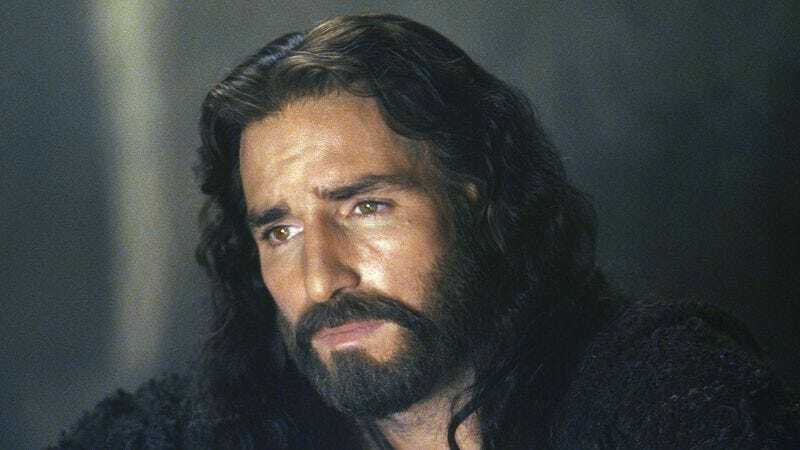 Mel Gibson is doubling down on his Christ-based passions, it seems, with a sequel to The Passion Of The Christ apparently in the works. That’s according to his old Braveheart collaborator Randall Wallace, who told The Hollywood Reporter recently that he and Gibson were working on a follow-up to Gibson’s 2004 primer in ancient Aramaic. Utilizing one of the oldest and most over-used narrative tricks in the screenwriting book, Gibson and Wallace’s new film will apparently begin with their hero—preacher and occasional convict J. Christ—undergoing a magical resurrection, before busting out of his tomb to spread a little holy mayhem. From there, we can only imagine where he’ll go, evading the authorities, destroying the carefully developed leper colony economy of ancient Israel, and waging a running battle against one of his dad’s old friends. Wallace—a faith-based filmmaker in his own right, who wrote and directed 2014’s Heaven Is For Real—says that Christian fans of the original movie have been clamoring for a sequel for more than a decade. “I always wanted to tell this story,” he said. “The Passion is the beginning and there’s a lot more story to tell.” (After all, nothing says “franchise” like a successful adaptation of a single book from a multi-volume series.) For his own part, Gibson has remained uncharacteristically (but blessedly) quiet on the subject, although he expressed interest in the idea of a Passion sequel earlier this year.